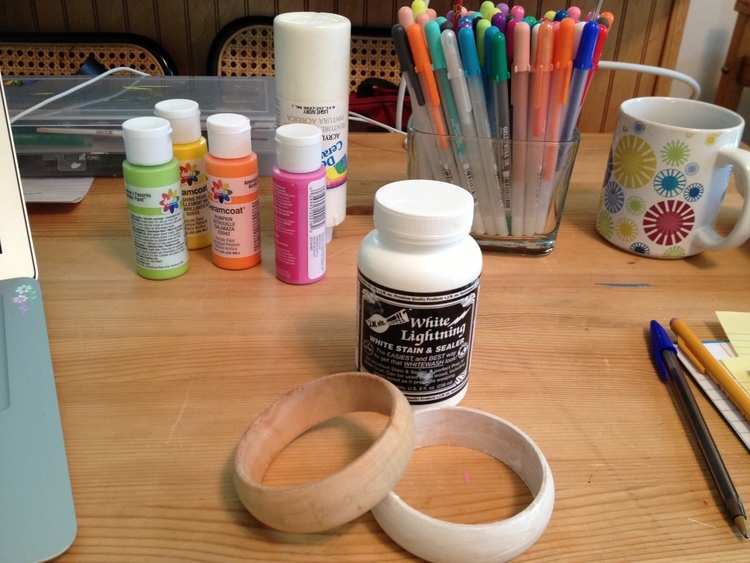 I got a dozen wooden bangles to paint the other day. Here is step one. This entry was posted in Jewelry, Painting, Surface Design on May 18, 2014 by julesmeans.